NVIDIA® NVLink™ is a high-bandwidth, energy-efficient interconnect that enables ultra-fast communication between the CPU and GPU, and between GPUs. The Core of AI: AI is not defined by any one industry. It exists in fields of supercomputing, healthcare, financial services, big data analytics, and gaming. It is the future of every industry and market because every enterprise needs intelligence, and the engine of AI is the NVIDIA GPU computing platform. NVIDIA Volta is the new driving force behind artificial intelligence. Volta will fuel breakthroughs in every industry. Humanity’s moonshots like eradicating cancer, intelligent customer experiences, and self-driving vehicles are within reach of this next era of AI. • 640 TENSOR CORES: Every industry needs AI, and with this massive leap forward in speed, AI can now be applied to every industry. Equipped with 640 Tensor Cores, Volta delivers over 100 Teraflops per second (TFLOPS) of deep learning performance, over a 5X increase compared to prior generation NVIDIA Pascal™ architecture. • NEW GPU ARCHITECTURE: Humanity’s greatest challenges will require the most powerful computing engine for both computational and data science. With over 21 billion transistors, Volta is the most powerful GPU architecture the world has ever seen. It pairs NVIDIA® CUDA® and Tensor Cores to deliver the performance of an AI supercomputer in a GPU. 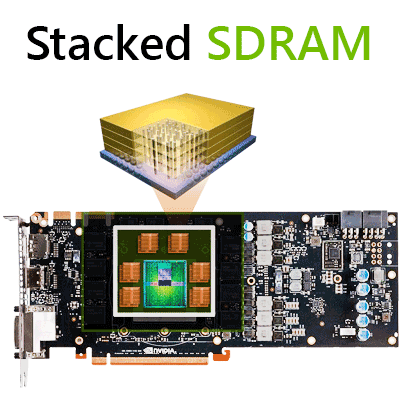 • NEXT GENERATION NVLINK: Volta uses next generation revolutionary NVIDIA NVLink™ high-speed interconnect technology. This delivers 2X the throughput, compared to the previous generation of NVLink. This enables more advanced model and data parallel approaches for strong scaling to achieve the absolute highest application performance. • VOLTA-OPTIMIZED SOFTWARE: Data scientists are often forced to make trade-offs between model accuracy and longer run-times. With Volta-optimized CUDA and NVIDIA Deep Learning SDK libraries like cuDNN, NCCL, and TensorRT, the industry’s top frameworks and applications can easily tap into the power of Volta. This propels data scientists and researchers towards discoveries faster than before.